Healthy Plants has been protecting Hemlock trees from the ravaging effects of the Hemlock Woolly Adelgid for over 15 years. Effective control can be achieved through soil injections, trunk injections or applications of horticultural oil. Timely applications can simultaineously control the ever increasing threat from the elongate Hemlock scale, as well. You can keep your stately Hemlocks and Hemlock hedges healthy and full. Contact us. 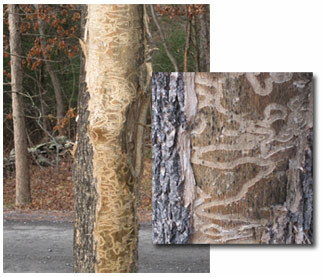 You can protect your trees from Emerald Ash Borer(EAB). We are experienced and skilled in both trunk injection and soil injection techniques proven to be effective in saving Ash trees from EAB. We can also help you establish “trap trees”, with the objective of luring most of the adult beetles entering your property into less desirable Ash trees, and in a timely fashion remove these trees. You thereby reduce the chance of infestation in Ash trees you want to save. Whether you want to protect that one cherished specimen Ash in your front yard, or manage the EAB problem throughout your woodlot, we can help. Contact us. "Blonding" is a clear symptom of EAB infestation. It occurs when woodpeckers, while foraging for the succulent EAB larvae, flake off outer layers of bark, revealing the lighter or blond-colored inner layers of bark. When all the bark over EAB infested sections of a tree is removed, the serpentine-shaped galleries of the voracious EAB larvae are readily observed. It’s best to protect your favorite Ash trees before the infestation starts. 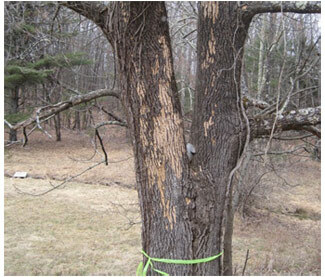 For other symptoms of, and more information on EAB, go to www.emeraldashborer.info. 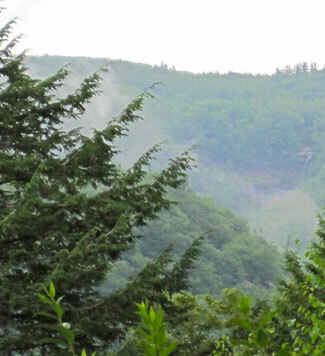 Tree service for Woodstock, Willow, Bearsville, Lake Hill, Mount Tremper, Shokan, Olive Bridge, Hurley, West Hurley, Kingston, Saugerties, Malden, Catskill, Glenford, Ruby, Boiceville. © 2012 Copyright Healthy Trees. All Rights Reserved.